Democratic Republic of Congo is a central African country with 75 million people living out there. The Area of Congo is 2,345,000km2. Congo is an unrestricted country, You can register any domains out there. To register a domain name in Congo You need to wait aprox 30 days. 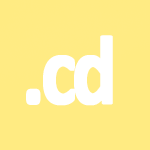 Minimum amount characters in domain name is 4, maximum of 63.